An asset based loan is a loan that holds assets as collateral. The assets can be either Real Estate, Equipment, Accounts Receivables, Stock and Bonds, precious metals, art, or other items with value. 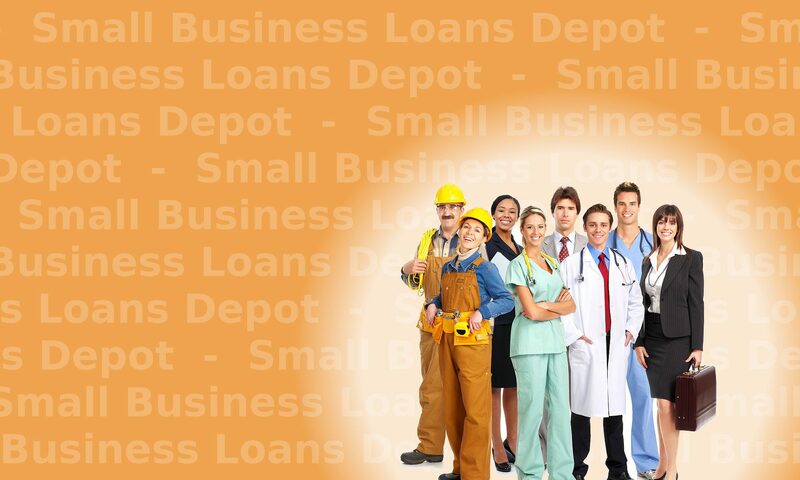 Get business asset based loans for Cash flow, Expansions, New Markets, Working Capital, Advertising, new product lines, New Employees, Inventory, Raw Materials, Staffing, Taxes, Equipment Acquisition…..or ANY REASON! Easy and fast process. Short Online Application and closing. No cumbersome documentation to provide. Your business generates revenue by using assets, not owning them. Turn untapped dormant equity in your company’s assets into cash today. Lenient credit requirements. Does my Business Qualify for an Asset Based Loan? Your business owns free and clear assets. Each asset piece has a retail value of $20,000 or more. You are currently in business and generating revenue. Your business has Commercial Real Estate with more than 55% equity. A business or personal loan for which the borrower transfers ownership of their collateral to the lender as security to obtain an approval. What collateral can I use for an asset based loan? For an asset based loan you can use vehicles such as over the road trucks as well as equipment like construction equipment and certain kinds of machinery. When using equipment each item needs to be worth at least $20,000 per item. Other collateral that can be used includes real estate as well as stocks. Make a list of your assets. Include personal and business assets including cash on hand, short term and long term assets. Also include any business assets like accounts receivables, equipment and real estate. 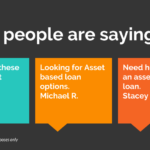 Provide an application and asset based list to the lender you select. Once approved, complete and provide all required closing documentation. Question: How much can I qualify for on an asset based loan? A decision is obtained in 24 to 48 hours. Upon return of documentation from the customer, funding occurs in 1 to 3 business days. My business is less than 2 years old, can I still qualify? Many of our applicants receive funding through our asset based loan with less than 2 years time in business. Amounts may vary, but funding can occur. Question: How important is business and personal credit for this product? Answer: Credit may be important. It depends on the loan product you select. For most of the programs, some business credit, along with a personal credit score of 650 or higher is needed. However, this is not the case for all of the products. 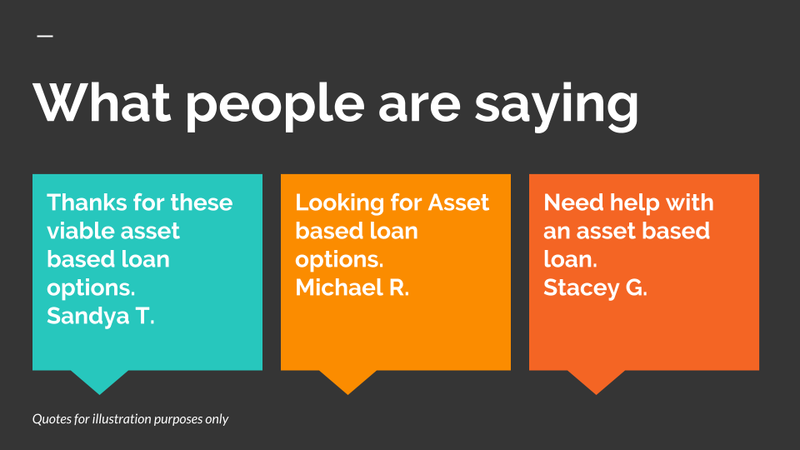 There are some asset based loan products for which the value of equipment, or real estate are more important. For these programs, if the applicant has industrial equipment or construction equipment, the credit matters very little. Watertown Lube & Repair in New York is requesting $35,000 in an asset based loan. The customer provides a one page application and equipment list of their existing assets. Upon processing, Watertown Lube & Repair is approved for $35,000. Documents are E-Mailed to the customer. The customer completes documents and overnights the originals back. Upon review of documents, a quick verbal confirmation is completed with the customer. The transaction is completed and funds are wired into the customer’s account within 48 hours, and the asset based loan is completed.